Molweni! Vice-Chancellor, Max Price, Mr Nkosinathi Biko, members of the extraordinary Biko family, members of the Board of Trustees, the Minister of National Planning, Deputy-Minister of Justice and Constitutional Development, distinguished guests, comrades, ladies and gentlemen – and in South African parlance, all protocols observed. Preliminaries first: I really want to thank the Biko family for the magical honour of giving this talk today and for inviting me to South Africa for my first visit to your really beautiful country. It’s more than an honour to give the 13th Steve Biko Lecture commemorating the 35th anniversary of his brutal death and transition from activists against Apartheid to one of the guiding ancestors of justice and freedom not only in South Africa but all over the world. I want to especially thank Nkosinathi for the personal invitation as well as to congratulate him for the extraordinary work they have done in making available to the world the transfigured meaning of Steve Biko’s legacy. Fifteen years ago Nkosinathi inaugurated the creation of a Steve Biko memorial, and these memorial lectures have acquired great significance. I am struck by the richness and variety of the people who have given the lectures, from the great Nelson Mandela himself to the delightful and dancing Desmond Tutu, giants of black and African literature like Chinua Achebe, Ngugi wa Thiong’o and Ndebele, who gave the inaugural lecture and Alice Walker; formidable presidents like Thabo Mbeki and that legendary Finance Minister, Trevor Manuel. As you know, this is the 13th Memorial Lecture, and I happen to have considered the number 13 to be a very lucky number indeed, combining as it does the Hebrew letter for 1, which means love – do your research – with the Hebrew letter for 3, which means unity. Maybe the fusion of love and unity in a world fatally divided and dangerously unstable, may be one of the secret themes of my talk this evening: Biko and the Tough Alchemy of Africa. Your great struggle and your history have been the background music to our lives. We grew up with a consciousness of your struggle and your suffering, and terrorism that accompanied us through the years. In a sense your struggle highlighted to us all over the continent the meaning of justice. As a child growing up just after independence in Nigeria, one of the first moral questions about the world was posed to me by your circumstance, that there was a country, that there were countries in which it was enshrined that one race was inferior to another and that one race can dehumanise another, posed to me questions that went right to the root of existence. For many of us it even made us question the existence of God; such injustice we felt could only exist in a godless universe. The Sharpeville massacre of 1966 with its unforgettable images that seared themselves into the consciousness of the world was one of those world events that awoke us from our moral sleep. I was roughly the same age as the children being slaughtered in that famous picture and it instantly made me aware that our fates are one. I don’t know how other people in other continents saw that picture but from that day I too became a black South African and we suffered with you in your sufferings and willed you on in your struggles. You have no idea what you mean in the historic consciousness of the world. Sometimes it seems that awful things in history happen to compel us to achieve the impossible, to challenge our idea of humanity. Your struggle mirrored around the world, is one of the greatest struggles of our times. It poses and continues to pose the biggest questions facing humanity; massive philosophical questions that have never really been tackled by the great thinkers of the human race. These are some of the questions which your history posed: Are human beings really equal? Is justice fundamental to humanity or is justice a matter of law? Is there evil? Can different races really live together? Is love unreal in human affairs? Why is there so much suffering? Why do some people seem to suffer more than others? Can the will of a people overcome great injustice? Can a people transform their lives and their society through the power of a new vision? Does God exist and is God unfair? All across the continent and everywhere where human love responds to the suffering of others, these questions were nagging kind of music. All across Africa these questions troubled us – and among the voices that articulated a profoundly bold and clear response to these big questions of fate, injustice and destiny, one big voice pierced our minds was that of Steve Biko. One of my points of affinity with Biko is with his rigour and his high-standards of expectation of the human and the African spirit. He asks fundamental questions like: Who are you? What are you? Are you what others say you are? What is your selfhood? What makes you a man or a woman? He asks questions which will be relevant in hundreds of years time, questions which are an inevitable part of a free society. We need to reincarnate Biko’s rigour, his high-standards and his forensic questioning of society and of all of his assumptions. We need to keep alive Biko’s fierce and compassionate truthfulness. In fact, we need Biko’s spirit now more than ever. If he were here today he might well ask such questions: Is the society just? Are we being truthful about one another? Has there been a real change of attitudes and assumptions on both sides of the racial divide? He might have expressed concerns about the police reaction to the striking miners of Marikana. He would have said that it does not need to be said that the murders and the use of apartheid law to try the miners are shocking to the international community and that it has disturbing resonances with his own death. He might well ask: Has there been reconciliation without proper consideration? He might ask whether the things that he fought against have merely mutated like certain cancerous cells. It is a strange kind of fate for Biko to have suffered for in being so unjustly cut down so early, he remains for us perpetually poised in the stance of his difficult questions. And to think of Biko is to have these questions always come alive in our minds. He is like Kafka’s axe that can always be used against the frozen seas of lies and hidden attitudes that fog up the flow of a society’s possibilities. He is a figure of constant truth that will continue to haunt the history of this nation as it negotiates through time the continued hidden legacy of Apartheid. It is not surprising that his most famous work is called I write what I Like. In a sense Biko transcends politics and has in him something of the terrible integrity of the true artist, one who with hammer-blows will relentlessly pursue his vision of exalted truth regardless of its consequences. In that sense Biko is more than just the unfinished conscience of this land; he is also that finger pointing at the only acceptable future: a life and a society in which citizens can be proud of what they are. Biko’s spirit is permanently, fantastically set against the humiliation of man and woman. His spirit is set against the mediocrity of consciousness, the mediocrity of a consciousness that lives without a sense of what has happened to others. He is not an easy guy. He does not like laziness or lazy thinking. He has the rigour of a young man who will not accept that a decent life is impossible for his people. He will not accept that an agreement has been reached without frank and exhausted dialogue. He may well think that too much has been given away too soon. He may even think that the people who have not honestly acknowledged the death of the injustice they inflicted on others may still in fact harbour deceits of those injustices. Great struggles tend to throw up great spirits. Great suffering tends to throw up great minds who refuse to accept the terms of that suffering. Something of the spirit of Prometheus breathed in the voice of people like Steve Biko; voices who refused to accept the definition of his people by those who define it downwards. Prometheus suffered his incarnation incarceration on the great rock of Tartarus because he stole fire from the Gods to give to humanity. One of the recipients of that fire was Steve Biko. I am aware that there are many recipients of that fire – people like the great man Nelson Mandela, father of the nation, figures like Chris Hani. But Steve Biko’s fate is one of latest in a long chain of Promethean destinies. Like the phoenix of classical mythology, his end was his beginning. The power and truth of his ideas spread with a special brilliance because of the flame of his death. It is one of the curious things about history that whenever they kill the incarnation of truth its voice is multiplied a-thousand-fold. Your history has taught the world a thing or two about the human spirit. From you we learned that eventually the spirit is unconquerable. From you we learned that history is not inevitable but must be fought for with love, with courage and with wisdom. From you we learned that the impossible belongs to those who have not peered deep into the darkest darkness of the night and still believe in the cycle of the sun. Forgive this rhapsody, but often we take history for granted and those who live through it and come through it take it as a kind of nightmare or a dream and therefore a kind of unreality. For most of my life it seems that Apartheid could not be overcome. Our rage at its reality seemed to have collapsed against what seemed like its eternity. It seemed one of those unacceptable facts etched into the fabric of the world. In England, where I lived in the latter part my life, it was assumed by many that Apartheid would be with us for generations. It seemed like one of those unalterable facts like fate or the moon or like hunger. But a great injustice rouses something very deep in the human spirit, something deep that goes all the way back to the Gods. We can almost say that greater justice awakens in us the same forces that shape the world, a force greater than destiny itself, a force that comes from the fire of the demiurge a force that tears down mountains and throws up continents; a force like bursting volcano, a force of thunder. This is a force slow to arouse but once roused and awoken, hard to control. Such a force unleashed itself in the French Revolution and gave birth to one of the great nations of the world and some of the great philosophies of freedom. Such a forced was aroused in the American Revolution, one of the Father Revolutions of the human race. But this force does not unleash itself in revolutions only; it can burn in civil wars, it can implode in gulags and forced inhuman policies and orgiastic historic rages. When a people overcome the impossible, they achieve eventually a kind of evolutionary shift and epistemological break. They realise, eventually, deep in their souls something powerful about their will: they are never quite the same people again. They change subtly something in their DNA. They also experience a state of unreality. History is like a nightmare we wake up from after a struggle and blink in stupefaction at the strangeness of daylight. With awakening a great energy is freed; a new question is posed: the nightmare is over but what do we do with the day? We do not have enough psychologists of history. Everyone seems to treat history as if our reaction to it should be logical. The people have emerged from a mutual nightmare, what should they do upon awakening? What should anyone do after a long trauma? What can anyone do? Nations too, like individuals, need to heal. And healing takes several forms. For some, healing is probing the wounds, seeking causes, pursuing redress. For others, healing is dreaming, it is an active vision during which time a future is dreamed of, shaped and put into place. For them healing is an opportunity to transform themselves out of all that suffering, all that trauma, and the heroic effort of all that overcoming. The unfortunate thing about history is that it gives us no rest, no holidays. There are no pauses; we go from struggle to struggle. The struggle to overcome and then the struggle to live, to grow, to realise the potential seeded in our bones. We go from tearing down the unacceptable to building the desirable without much of a break in the dance. But how long does this magic period last, the period of raised consciousness when a people realise that the surging through them of all the best energies of the human spirit? When they have effected a profound change in their destiny and feel the euphoria of overcoming? How long does it last, this sense of having climbed a mountain-top against all the odds and gazing back down over the journey accomplished and feeling for a long historical moment the sense that with the will power and the vision clear, anything is possible? Historical exaltation is too short. Life comes rushing in. No one can dwell on a mountain-top long; the air there is too pure and unreal. The value of mountain-tops is not to live on them but to see from them. To see into the magic and difficult distances, to see something of the great journey still ahead; to see, in short, the seven mountains that are hidden when we climb. It may be only once that a people have such a vision. Maybe very, very great nations have such a vision a few times, and each time they do they affect a profound renewal in their history and take a quantum leap in their development. Most nations never glimpse the mountain-top at all; never sense the vastness and the greatness of the gritty glory that lies ahead of them in the seven mountains each concealed behind the other. Maybe Ancient Greece saw such a vision a few times and dreamed up its notion of a flawed democracy and left its lasting legacy in its architecture, its literature, but above all in its political structure for unleashing its genius upon the world. Maybe Ancient Rome saw such a vision a few times too and built straight roads through history, wresting with the idea of freedom and tyranny and conquered a sizeable portion of the known world, and left for us their ambiguous legacy of empire, literature and might. But it is not often that a people reach a mountain-top and descend with a rich vision of a transformed life for all of its people and then set about realising it. Too often the euphoria gets swept away into an ideology of state. Too often it is squandered. Too often that great moment is lost and never to be experienced again and eventually forgotten in the mountainous pilling up day after day after day after day of ordinary reality; the mire of history, till disillusion and despair and boredom set in. And a people who could have given mankind a new reality of how a society can be in a world where so many good dreams are failing, becomes a society that scrabbles in the sand, its eyes weep in poverty with division and tribal conflict at its heart and emptiness in its days, its resources and hopes eaten away by corruption – a society that faces into the darkness and the dullness with that glimpse of the mountain-top faded into ordinary sunlight. We invest great hopes in people who manage a great overcoming. Maybe because of a certain nostalgia for our lost moment when we too could have been a light to the world, or maybe for a nostalgia for what can be the hope that we too can affect our own modest daily overcoming against destiny. We like to believe that those who suffered can show us the true meaning of that suffering, which is the point anyway for humanity to be. There is no greater value to suffering than in having the authority to create a better, fairer, truer and more beautiful life for its people. There are those who think that suffering brutalises and dehumanises and turns men and women into animals. There are those who see in Africa’s troubles, nothing but what they unintelligibly call ‘African nihilism’. There are, to be sure, many cracks and fissures in the human spirit and unimaginable horrors have been unleashed in Europe and Asia and America; history shows no one to have completely pure hands. But those who have had injustice perpetrated on them, who have suffered unbelievable variations of humiliation and brutality, ought to have a special light and vision on the nature of justice. This will be true of course but for what Hamlet calls “bad dreams”. Hence the necessity of that unique kind of feeling. Personally I favour healing as dreaming. A society comes through fire a nightmare and it ought to heal through dreaming; not a dream of sleep but the dream of vision. In some ways unreality is easier than reality. And the reality of freedom demands more consistency, vision, courage and practical love than was suspected in the unreality of injustice. And what defines a society is not how it overcomes its night but what it does with the long ever-after days of sunlight. Some will say that re-emerged from the night with our hands tied and that the sunlight still has a lot of night in it and that the terms of our freedom and the context of our independence put led weights on our feet in a field where others have been running with free feet and machine-assisted feet for hundreds of years before we entered the strange game. Some will even say that at every stage of our emergence into sunlight we were hassled, sabotaged, undermined and the terms of our participation fixed and limited – and that we are being judged in a game in which the terms and conditions are twisted and lopsided in ways so subtle that no one notices how they’ve done our participation before we begin. Some will say many such things – how we play not our game but the game of others, and how our leaders are confused and our participants corrupted, and the people cheated and betrayed and left behind in hunger and poverty in the long after-years of sunlight. These things may or may not be true. What is true is that no one will hand us the destiny that we want. No one will carry us to the future that our bones and our history crave for. We must do it ourselves. It seems that the courage and the ingenuity, and the toughness required for getting us out of the night are indeed required much, much more for the ever-after day of the long after-years of sunlight. Freedom was just the overture. Indeed, freedom may just turn out to be a very small part of the true story of a people. The real story begins with what they did with that freedom. This has been the real challenge of Africa. This has been the real challenge of our times. Can we make something worthwhile of our freedom? Can we be fruitful and workable nations? Can we create a good life for our people? But more crucially, can we make sustained and important contributions to the world and help in our own way to take forward human civilisation? On the whole it can be said that African nations began with hope, fell in chaos and staggered into dependency. Or to take another variation it can be said that African nations began in unity, collapsed into multiplicity and stumble in division. Or to weave one more jazz note of history; that African nations began in dreams, were overwhelmed by reality and stumble about in nightmare. Or to take a classical turn, African nations came, saw and squandered. All across the world in the late fifties and sixties could be heard what Byron once called the First Dance of Freedom. Not long afterwards came the cry of failure as civil wars, tribalism, coups and corruption descended on the recent freedom dances. Then came the long decades of animi, that was such a feast of gloating and salivation for western observers. People emerged from the African world into a European-shaped reality in two or three generations and no one wonders that there would be some confusion. People entered an arena in which others have been shaping themselves as nation states over hundreds of year and no one wonders that they would at first seem inadequate. The fact is we might have lost control of our self-perception. We might have lost control of how we see ourselves in the modern world. We see ourselves and measure ourselves with outwardly determined standards. We don’t play our game. We don’t choose our values; but more seriously, emerging from African reality into modern reality has had one major effect: time has gotten speeded up for us. We are having to accomplish in 10 years what it took European nations 2000 years to accomplish. Africa is having to compress in a short time her own equivalent of the Roman Conquest, the Viking marauders, the Black Death, feudalism, Civil War, the Industrial Revolution with its dark satanic mills, capitalism, the poverty act, the union of the four warring nations and the unholy spoils of colonialism – all into a few solitary decades. There is however another way to read history. It could be said that African nations have emerged from the long reality of their selfhood into a different time and are engaged in a complex historical adjustment. We need to define history more accurately, and the history of African people, the Bantu, the Zulu, the Yarubas, to give a tiny example, is long, unique and needs to be written and studied. History is not the story of the impact of the western world on the African world; that is a small part of our history. History is not objective. The meaning of history keeps on revealing itself through time. Like a text of infinite interpretability, history yields new meanings in relation to the eyes that behold it and the pressures of the times. History may be memory, history may be vengeance, history may be redemption – but whatever history is, it is too soon to extrapolate the meaning of our recent histories. Those who write about history in haste and fall into quick judgements, find that the long unfolding of events change the meaning of the facts upon which they base their judgements. Time is a great ironist. The historian who makes a quick judgement again the United States of America right in the middle of her apocalyptic Civil War, would be made fooling by the unfolding destiny of that nation. History may be fact, history may be a dream, history may be revelation. It is not how things are that count, it’s what you do with them, what vision you have and with what strength you march towards that vision. We need a new consciousness. History is always responsive to a new consciousness. Do you want me to keep going? I’m just trying to make sure I’m not talking to myself. They say the greater the mistakes the greater the lessons that can be learned. Africa has surely made enough mistakes for us to learn about. Among other things we are rich in mistakes. Some nations in the world make their mistakes over thousands of years, we made ours over decades. We have made enough mistakes to become nations of genius if we had that inclination. Maybe that is why there is the beginnings of a new consciousness, a new stirring of national success slowly creeping across the continent. But what are some of these mistakes: the slide towards dictatorship and tyranny, corruption becoming a ‘natural’ part of the national fabric, the depletion of national resources by ruling elite, the erosion of civil liberties, the failure to realise that nations can die just like businesses, companies or individuals. You do not need me to tell you that if Biko were alive today, his cry to Africa would be to put its house in order. He would be appalled at the civil wars, the failure to feed and educate the people, the greed of government officials, and the general failure to live up to the promise of the great struggles for liberation. He would be harder on us than our critics because he would expect from us the highest standards of national life. I interpret Black Consciousness not only in relation to the history of oppression; I interpret it also as an injunction to the highest fulfilment of a people’s possibilities. Black Consciousness means nothing if it does not also mean the best flowering of our reality. To me Black Consciousness means equality, freedom, community, grassroot transformation, but it also means excellence, humanity, foresight, wisdom, and a transcendence of our weakness and our flaws. Stripped of its specific context of Apartheid the core of Black Consciousness does not seem to me a polarising message. Rather it is a call for the awakening of the spirit, a call such as the ancestors might have made. Wherever a people are oppressed, the first thing they must remember is who they are. But once liberation has been achieved, the first thing they must remember is who they want to be. The heart of Black Consciousness is a message of ‘becoming’; it’s goal is not limited, it hints as a continuing journey of self-discovery and self-realisation. This can be as wide and as expansive as the mind that interprets it. There can be no end to a self-realisation. Every day we discover more and more who we can be – this is what Black Consciousness says to me: become who you are, and also, become what you truly can be. It is an injunction of greatness. In fact, it is an injunction to leadership. It says in effect that black people because of their history and all that they have learned, should show the world a new way of being – to paraphrase, a better way of being human. I’m coming to the end, slowly. There are three kinds of leaders. There are the ones who make, there are the ones who bring meaningful change. There are the ones who make change real. And then there are those who squander the possibilities of their times. The challenge of our times has always been the challenge of leadership. It is not the only challenge but it is the most symbolic. Black Consciousness is an injunction to leadership because the people can only be as liberated as its leaders are – in that sense Black Consciousness says that to liberate in your mind and freeing your consciousness, you should be your own leader. Everyone therefore carries the burden of leadership. To that degree, the leaders that you have says something about the kind of people that you are. Previously leadership was considered on its own as an isolated event of responsibility. We tended to blame our leaders for our failings. The micro responsibility of Black Consciousness implies that we should blame or praise ourselves for our leaders for they are what we have enabled them to become. To me Black Consciousness suggests that the people take the responsibilities for their lives, their societies, and their destiny. This is not a textual but an intuitive reading of Black Consciousness. I am not advocating civil unrest but… I am not advocating civil unrest but that the people are complicit in how their societies are run, how their history turns out. The people cannot be passive about the single most important thing that affects them, which is the running of their lives. In that sense there is a micro and a macro dimension of Black Consciousness, but its core is that of liberating for time and in all historical circumstances the consciousness, the conscience and the spirit of a people. After all, the people cannot come away in their oppression and fall right asleep after their liberation. A continued wakefulness is the burden of Black Consciousness, a continued vigilance is its responsibility. More than that, an ever-higher refinement of the possibilities of the people, an ever-higher reach in its potential and the realisation ought to be its goal. The renewal of a people of continent is a miraculous thing. And it happens when a great new idea takes root in a people; when they see the image of themselves not as they were but as they can be. It is a renewed self-vision. Its source is a potent and enchanted vision; it is conveyed through inspiration and sustained by example. Through the undercurrents of our minds, the idea is passed along that we can have good houses, good roads, decent education, fulfilling jobs. The idea is passed along in the undercurrent of our minds that we can stand tall and be fruitful under the sun. The idea is passed along that no one needs to starve and that everyone can have access to health services. The idea is passed along that we can question many of our beliefs, we can apply reason to our inherited notions that we can transfigure our superstitions. The idea is passed along that we can transcend our tribalism without losing our roots; that we can transcend our religion without losing our faith. The idea is passed along that we can transcend our race without losing its uniqueness; that we can transcend our past without losing our identity. It is passed along that we can only look forward and that has been done many times in history all over the world and is being done slowly today in Asia and places like Brazil – that we can remake our societies closer to our heart’s desire. The idea starts along that now is the time to show the true greatness on the part of your liberation. Now is the time to create a society commensurate to the ideals which the people fought for and for which so many died. That the fire of your history is a refining fire, producing from the blood of martyrs the goal of a new civilization. In alchemy there are two ways to accomplish what is known as a great work. They are called the dry way and the wet way. The dry way is short and dangerous. The wet way is long and safe. In political terms the short way requires a certain kind of dictatorship, thoroughly unified people and highly focussed vision – Japan, the Soviet Union and China in some ways exemplify this; they try to bring about fantastic transformation in society in a very short time. The results are often ambivalent. With Stalin and [indistinct] Mao millions died in the spectre of the gulags haunt success experiments. Only Japan uniquely showed the fruitfulness of this difficult way. But for national of diversity involved in a land of many tribes and many races, the ideal seems to be the wet way. Europe took time to arrive at its current stability. America needed 200 years and a civil war to become itself. We must measure time differently. Our history began long before the history of others. We must measure time not in the length of oppression but by the persistence of our dreams – and our dreams go back a long way, way beyond the fall of Carthage, which Mandela says we are to rebuild, and way beyond the first imperfect Egyptian pyramids. The cycles of time, like the inundation of the Nile, have the deposited on us the immeasurable silt of human experiences. We have great wealth in all that is at the root of humanity. If there is a correlation between experience and wisdom, between suffering and understanding, Africa is the riches delta of possible transformation. The dream of our ancestors nestles in the Rift Valley, when the greatest enemy of man was not man but night itself. Our ancestors battled with all manner of monsters and evils within and without – and this long period of time and long march to civilisation must have forged in them some unconquerable sense of a human spirit. Just as rocks bear the strata of the ages they have witnessed, so deep inside us are the strata of unmeasured overcoming. Let us be tempered. May the fire of history burn us into a new consciousness. Let the white learn from the black and the black learn from the white. I’m quoting Taoism here. Different histories come together in one great sea. Let us raise one another. You have something special to give the world, and the gift of your genius, our genius will be revealed not long after we claim the right to be ourselves. We can be no one else. We must therefore accept as history, we must therefore accept our history with all of its flaws. We should hide nothing from ourselves about who we have been. We can only transform that which we face. What we are now is only the present slice of a picture of ourselves; there can be no final definition of what we are. We grow and change in accordance with necessity and vision, and yet in some mysterious way will become more and more ourselves. Thirty-five years ago a visionary son of the soil who was going to become a doctor, was slain. From his grave may a thousand dreams of freedom rise. May the vengeance for his torture and his slaughter be the constant coming into being, of a beautiful South Africa. A beautiful South Africa where the frisson between the races be always creative and compel them towards dynamic harmony, and where the intelligence in the rich nurturing of citizenship is nourished by the dragon’s blood of his and other martyrs’ immolation. Pass the word on. Pass the word along the five great rivers of Africa – from the Cape of Wise Hope to the sinuous mountains and the tranquil savannah. Pass on the word that there are three Africas. The one that we see every day; the one that they write about and the real magical Africa that we don’t see unfolding through all the difficulties of our time, like a quiet miracle. Effect the world with your light. Press forward the human genius. Our future is greater than our past. Bless you all. There’s little that can be said about Chinua Achebe that has not been said. Little to know about him that even the most ignorant of us has not caught in the last one month and so days. From the greatest of orators and the very best of writers to unheard names, common people and just about almost anyone with a voice from around, the Achebian fever has gone on and on and now, whatever else we say might simply be a cliché. Still, the combined claps of a town must not stop anyone person from putting their palms together for if every one was to do so, wouldn’t there be a conquering silence? The best way to talk of him – Achebe – then is not to simply say what everybody knows but simply bring out of our goatskin bag of wisdom to give our personal tributes to the worthy man. In this history, we shall stick to his writings, mainly so that we don’t get to go on and on and on. For indeed, if we were to tell the whole story of the man, Chinua Achebe, not even all the books in this world would contain it. And this, we all know. 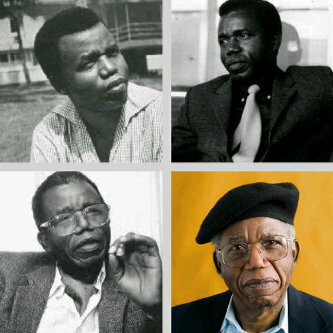 Chinualumogu Albert Achebe was born on the 16th of November, 1930 in Ogidi, present day Anambra state. We shall call him Chinua. Not in disrespect to this father of ours, and towering legend who lives on in our heart but because in his ways, he was too personal, too much of our friend and brother to be addressed in any formal title that robs of that familiarity that he in his numerous works endeared to our hearts. Chinua was born at the near infant days of Christianity in his land. His father, Isaiah, was himself an Anglican Catechist. In his life though, it would be the traditions of his people, and the quest to tell their story that would burn a firmer passion in Chinua’s life. He entered St. Philips’ Central School where he had his first primary education. When he was 12, Chinua moved to Nekede and enrolled at the Central School where his elder brother, John taught. In 1944, he wrote exams and on getting the choice of two schools after a sterling result, he chose Government College, Umuahia. That paved the way for meetings and a tradition that fixed him with the likes of Christopher Okigbo, Chukwuemeka Ike, Elechi Amadi, INC Aniebo, Ken Saro-wiwa, Gabriel Okara, Obi Nwakanma, Alexander Madiebo to mention but a few of the towering novelists and poets that wore uniform robes in that prestigious institute. 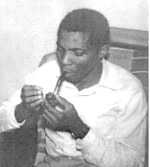 Chinua moved from Government College, Umuahia to the University College, Ibadan, famous for its strong English faculty that included J. P. Clark, Christopher Okigbo, Wole Soyinka and Elechi Amadi. He got a scholarship to study Medicine but after a year, forfeited his scholarship to study English, History and Theology. After his final examinations, Chinua earned a second-class degree in 1953. This set him back a bit as he weighed options after not having received the highest degree possible. There’s a whole lot more that we can put in between that history and all but perhaps we should jump to a defining point in history, 1958, the year of the publication of Things Fall Apart. The book was not the first African work of literature as a steady literature for Africa was already thriving written by mainly whites (Joseph Conrad being the main voice). There were other Africans – even Nigerians – who had published before 1958 too. There was Cyprian Ekwensi and Amos Tutuola to mention two prominent examples. Things Fall Apart changed the thinking of the world on Africa, its literature and its people. Now, Chinua wrote other books that continued the trend of changing views on Africa and its writers – No Longer at Ease. There was also Arrow of God (and can you forget Ezeulu, the man striding between the gods and man)? A Man of the People came out in 1966. While people abroad hailed Chinua Achebe for being a prophet, he was accused of having an idea of the coup plot that happened a few days after its publication. Let us skip for a few seconds to the Nigerian civil war where Chinua played a prominent role. 1967 – 1970 and arguably not less than a million lives lost. That war defined the lives of many Igbos and was a turning point in the life of our nation, Nigeria. Somehow, life continued. 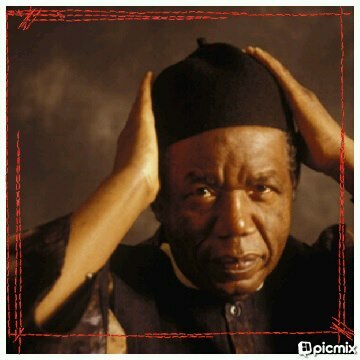 Chinua Achebe published The Trouble with Nigeria in 1983, himself actively involved in politics then. He wrote Anthills of the Savannah in 1987, a critique of Kangan, a country near resembling Nigeria. I might add that it is a solid post-colonial text which I had the honour of investigating in the same light during my undergraduate days in the comfortable companionship of my friend, Andrew Bula, Joshua Agbo (who was in Linguistics charting different roads), Terna Ortese and Dr. Andrew Aba, my supervisor, who himself did his PhD thesis on the works of Chinua Achebe. I can mention inspiration from Ezenwa-Ohaeto, Hyginus Ekwuazi, Eugenia Abu and many others but that would be to put my name where it should least come out. I can only say here that a bond grew from this work here, Chinua creating links where they never might have been. 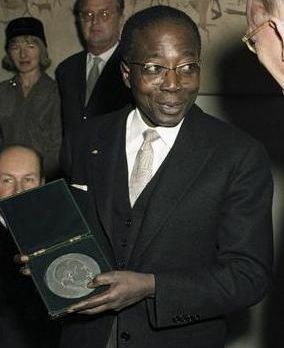 In 1981, he started the Association of Nigerian Authors (ANA) and was the first President. This wasn’t the first writing body started in the country but it is the strongest today and the body under which we are gathered today, as at other moments, to share the beauty of the comradeship of the ink of our thoughts devoid of grade, gender, heights and the like. Devoid of these but not condescending in any way. Chinua was also at the headship of many Pan-African, Pro-Black, Pro Afro-American progression, movements, writers and the rest. In October 2012, Chinua published There was a country to critical rave reviews. It has remained a controversial book to this day. In between all these publications, there are many other lectures, critical works, interviews, awards, Doctorate, Honourary and traditional titles that this towering Iroko of the world garnered. The Eagle, Chinua, finally took his flight to ancestral domes on March 22nd, 2013 after a fulfilling but not so fulfilled life as some might argue. He was an inspiration to many and a close friend. He was married to Christie (nee Okoli), a marriage blessed with four children: Chinelo, Ikechukwu, Chidi, Nwando and grandchildren. Of the literary children, one can hardly say more. I have left so much out but what more can one write when consigned to write the history of a man whose story is far richer than several lives put together? What do we say of a man’s story whose story is our collective story? Do we talk about the patriot, the writer, the activist, the ambassador, the teacher, the human, the family man, the friend, the enemy, the ancestor or the living one, the legacies? Do we talk of the decoloniosation? Of the lone voice calling many? Do we talk of the humility? Every leaf of this iroko is a tale and who dares to tell the tale of every leaf of one of the greatest trees known not just to our parts but the entire world? It is left to say, as I have mentioned severally, that one who lives on in our heart more firmly than those whose breath still flow through the nostrils, is that one really dead? So as the others claim a mourning, we delight in a celebration of Chinua and welcome us all as we reflect in thoughtful, casual, or just personal tributes to him for whom most of us can boldly say: ‘We know where the rain beat our ancestors and so can tell our tale.’ May he live on in our hearts, our thoughts and our nation. Achebe shook up the literary world with Things Fall Apart when he was barely in his late twenties. He told Africa‘s story and gave humanity a song. Since that day in 1958 when that epochal novel intruded upon the world to this very day, hardly any week has passed without the author’s name being mentioned somewhere in this world of books and ideas. But if the sheer force and range of Achebe’s fiction gave Africa a voice, the fearless truth of his critical interventions challenged so many myths and deliberate falsehoods about the most misrepresented and recklessly abused continent in the world. Achebe knew, and he tried to get us to know, that Africans will remain mere objects of the stories told by others, until they, Africans, have started to tell their own story their own way – without shutting out the rest of the world. Achebe challenged the 20th century philosophy of fiction as a pretty object d’art, arriving with works which foregrounded the human condition and told the wondering world that the clotheless Emperor was, indeed, naked! He entered a plea for the urgent necessity of an entity called ‘applied art‘ and emboldened us to look triumphalist Formalism in the face and demand to see its passport. Yes, Achebe told a world sold to the art-for-art’s-sake mystique that it is, indeed, possible to be an accomplished novelist who is also a teacher. Controversy hardly ever parts company with a writer and thinker of his brand. He took almost as much criticism as he gave; for he was a man who never ran from a fight. The world celebrates the LIFE of this distinguished story-teller and thinker. (Yes, celebrate, for to mourn is to concede supremacy to Death – and Oblivion, its Mephistophelean factotum). Rest well, Chinualomogu. Rest well, Obierika, the man who thought about things. Posterity will never let you die. We regret your passing. We celebrate your Life. New Orleans, March 22, 2013. Professor Niyi Osundare is one of Nigeria’s leading contemporary poets and social crusaders. He lives in New Orleans. 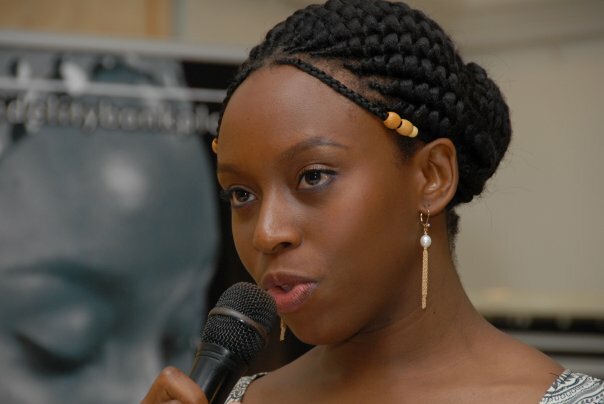 Most of you would take Chimamanda [I know, right 🙂 ] or Joke Silva or Abike Dabiri or Amina Az-Azubair – for several reasons, personal or general. I respect each of them too. I cast my vote for Eugenia Abu. I did so not simply because of her remarkable achievements as broadcaster and humanist – which is true by the way – but because she’s one of the most amazing women I’ve come to know from afar and close. In addition to all her charity, charm and amazing love for children plus the less privileged, she’s a committed mentor and positive thinker who believes in people, a lot. Trust me, I know. Do cast a vote for her too, PLEASE. She truly is a woman deserving. I wrote a piece on Eugenia Abu you might want to look at here . So, cast your votes for Mrs. Eugenia Abu and let’s celebrate an all encompassing beauty! YES, SHARE much as you can!! Kairos Productions is pleased to invite submissions from poets for publication in an anthology titled Straining at the Seams: Poems for Nigeria at 100. The anthology, intended to discuss the life and times of Nigeria since the merger of the Northern and Southern Protectorates in 1914, will be published in the third quarter of 2013. This will contribute to the celebration of the centenary existence of Nigeria. There is no restriction as to form or length of the poems to submit but each poem should address the challenges, achievements and hopes of the 100-year-old Nigeria. Authors can submit a maximum of 3 poems for consideration. You may submit unpublished or published poems. In the case of published poems, you will be required to certify that you own the copyright. Authors retain the copyrights to all their works. Submissions that do not follow the guidelines will be rejected. Submissions are open until 31 March 2013 and final decisions made by 30 April 2013. No submission fees are required and no royalties will be paid to authors. Every author whose poems are published in the anthology will receive 2 complimentary copies of the book and can purchase additional copies at 30% discount. Check Toyin Adewale-Gabriel on Wikipedia – Toyin Adewale-Gabriel. Now, that’s for clarity on who they are. You think you are up for the challenge? Get those poems sent right away! Ada AGADA: I promised this piece on Su’eddie’s prodding. Let me start by saying I believe in the universality of art, in the structured unity of the human mind regardless of race and cultural plurality. I will define universality simply as the transformation of the particular by lofty thinking and lofty sentiments into a transcedent mode everywhere recognizable as a creation and achievement of the human spirit. While the particular remains time-bound the universal escapes time. It becomes timeless. This means that the universal is present in every author. The problem then is whether this presence has become a transcendence. Shying away from social themes which my friend thinks is peculiarly characteristic of Western literature (and I disagree even with the average in consideration) does not guarantee universality, as surely as writing about so-called universal themes like love, hatred, death, and marriage fails to satisfy the universalist conditions in the absence of loftiness of thoughts and feelings. It is the human intellect, uniform in its structure, that organizes these lofty thoughts and feelings. The universality success rests substantially on the quality and advancement of a writer’s brain. This is not to say the writer should write a textbook that will send you to sleep from page one. Here the intellect serves the interest of art, not of thought. Why is L.S. Senghor greater as a poet than Christopher Okigbo, a great poet in his own right? It is because Senghor is more universal, more elevated in his thinking, more expansive. So the question is not whether one writer is universal and the other is not but why one writer is said to be universal even though all writers reflect universal concerns in their writings. I have answered this question. Now I will proceed to illustrate my point with concrete references to two magnificent writers in the second part of my submission – the English Thomas Hardy and the Nigerian Chinua Achebe. Keep a date with me. Su’eddie Vershima Agema: When I mentioned that we would be having this conversation long, I knew it would be so. Hmm. Since this is a conversation aimed directly, I take it head on. I start by correcting that faulty line of Senghor being greater than Okigbo… M zambe [please] my brother, check that properly. Okigbo is seen as one of the best poets of African extraction &no one contests… Check. Literary tradition, the critics, connoisseurs &even readers have long done the coronation… Check. Some editing &proper carriage put in a way that is easily carried gives it that grace that is the universal. So in this way, it transcends just philosophy stated &other such things told to be a story of one &all that can be accepted everywhere, adopted &claimed for each one’s own. This forms the heart of my argument which I continue on the thread of the second part to your talk. Ada Agada: @S’. I only read that Okigbo is the most exciting poet from English-speaking Africa. He is the most musical of the black poets but is surpassed by Senghor in magnificence and originality. Kofi Awoonor also noted this point of Okigbo’s heavy borrowing especially from Eliot. Those who rate Okigbo higher have not read much of Senghor who wrote in French. I have read the best poems of both. @S’. I don’t mean philosophy per se but thoughts, elevated thoughts. Su’eddie Vershima Agema: I still think you should do your views on Okigbo are not so concrete. I have read much on him to know that above his ‘borrowing’ and the ‘musicality’, there’s a depth to him that is beyond words to express at this second. Talking of originality, what do you say of his own moulding of tradition into the fabrics of his poetry? Of course, I know Leopold Senghor and have read on him, his works extensively. What you have raised is a big argument but oh well, several scholars have gone on and on in several arguments on the greatness of who is greater – their loves or someone else. When it comes to our concepts of universality again, I think of it in this way: you being a philosopher look more towards it in terms of elevated thoughts. I being just a lay man look at it from the view of expression – an expression that can be felt and owned by people everywhere. Our very stands are created based on our personas, learnings, and thinking. Would we ever agree? I wonder. We would argue based on our various thoughts and leanings… We have read much to support our stance and would easily argue to that effect. Would we reach a compromise? Can we agree to disagree? Ada Agada: @S’. I think we have already reached a compromise although our core beliefs stand. The agreement is that there can be no universal without the particular. We only disagree about the dimensions of universality. In fact I suspect you are a particularist, one who believes the universality thing is superflous. 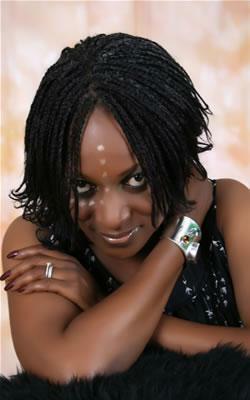 Ada Agada is the author of the novel, The Anxious Life (Aboki Publishers, 2011). He is also a poet. He holds a Masters in Philosophy from the University of Nsukka, Nigeria. NOTE: This conversation was extempore and is largely based on direct talks between the two conversants. It is no secret that we love foreign things in Nigeria. Our encounter with modernity, especially the version of it associated with the material trajectory of Western Europe after the Enlightenment and the rise of the culture of late capitalism in the United States after the World Wars, has been a history of uncreative aping of Western culture, tastes, and modes of being. Alas, our knowledge systems are not spared, hence we seek Western paradigms and explanations for things rooted in our own history, culture, and environment. Such is the case with a great deal of the literature on what most Nigerians agree is the country’s most successful postcolonial experience of statehood in terms of the management of resources and human capital. This experience, which has entered the history books as one of Africa’s most successful cases of the harnessing of resources for the betterment of the collective, is none other than the political polity known as the Western region. his people were supposed to have mastered. You will even encounter the reflections of a great 19th and early 20th-century German thinker known as Max Weber, whose reflections on the bureaucracy and the legal bases of the Welfare state have led to the emergence of a theoretical construct known as the Weberian state in the social sciences. You will hear that the Western region was a micro-Weberian state at its most successful level of actuation. What you will hardly encounter in the literature on the Western region are studies which trace the origins of this spectacular success to the cultural capital of Chief Awolowo and the energies he mobilized to implement his vision. spoke Queen’s English, stressing the proper syllables unlike those of us in subsequent generations who stress every syllable. So, it is true that Chief Awolowo had read Weber and many of the great thinkers of modern welfare statehood. However, Max Weber and European philosophers were not what happened in the Western region. What happened was cultural. What happened to and in the Western region was respect for the covenant between man and Ijapa. assumption of office lies in his famous three principles of budgeting by which he meant the resources of the region would be expended on human development in the areas of health, welfare, and education. The overall goal of this budget philosophy was freedom of the people from ignorance, disease, and want. In Awolowo’s vision, the Western region was going to be the very embodiment of the collective good and the commonweal. are people of the commonweal. Something else is often left out in narratives of the Western region. I prefer to frame this second omission in the interrogative mode. Why did Awolowo’s vision and altruism work in the region? To render unto Ijapa what is Ijapa’s is to subscribe to the supremacy of the commonweal by not plagiarizing the trickster figure’s selfish and individualistic proclivities. My submission is that that is exactly what Awolowo did but was this adherence to the collective good the only ingredient of his success? The answer, evidently, is no. For Awolowo’s budget philosophy to be successful, those who were helping him run the vision and examples he was setting in Ibadan across the entire region would have had to be believers in and subscribers to the same ethos of the commonweal. His role was to provide the vision, leadership, sense of purpose, and example but all these would have come to naught if he wasn’t leading a people who subscribed to the same ethos of the collective good. Awolowo’s greatest assets were, therefore, his people and the ethos of the commonweal to which they collectively subscribed at the time. the collective good and the commonweal. This explains why Nigerians of a certain generation look back and wax nostalgic about that era, irrespective of our deadly faultlines of ethnicity and religion. generations, as is quite often the case here in Africa. A good number of Western thinkers of nation and nationalism also understand the centrality of metaphors and myths to national identity. Ernest Renan understood this in his famous treatise, What is a Nation? Ernest Gellner also understood it in his master opus, Nations and Nationalism. And so did Benedict Anderson in his influential book, Imagined Communities. One of the most significant metaphors of American self-fashioning is the concept known across the world as the American dream. Such is the mobilizing power of this metaphor that nobody is indifferent to it – whether we are Americans or not. A visit to the gate of the American Embassy here in Lagos will give you a window into the sub-human indignities that Nigerians endure from rude and insufferably imperious American embassy officials just to get a chance to gain access to that dream. And we know that in the tortured logic of Al-Qaeda, it is better to die through self-immolation than hang around here and deal with the inevitability of the American dream. These metaphors of national self-fashioning can mobilize even more effectively than the material manifestations of nationhood and statehood. The American flag as a concrete symbol is important but what drives those boys in Afghanistan is their belief in the need to lay down their lives for abstract notions such as “our values”, “our way of life”, “who we are”, in short, the American dream. They are defending not the American flag but the American dream. Where the American boasts the American dream, the French man responds with “impossible n’est pas français”. Impossible is not French. Time and space will not permit me to fully explore what this self-fashioning does for French nationhood so let me just quip that it does for the French what the American dream does for the American. Protocols!-My hosts, Pastor Tunde Bakare, esteemed convener of the SNG, and Mr. Yinka Odumakin, irrepressible spokesman of the group, must be used to thankless jobs by now. After all, they were both at the forefront of a recent epic struggle to restore constitutional order in this country by liberating a self-declared formerly shoeless compatriot from the chains of uxorial fealty to the wife of his boss. The woman in question had held us all to ransom, running a ghost presidency, cabalized (apologies to my bosom friend, Patrick Obahiagbon) all the way from Saudi Arabia. As you all know, the Save Nigeria Group was at the forefront of that patriotic struggle. No sooner had the Beneficiary-in-Chief of the said struggle been liberated and helped to his rightful constitutional station in Aso Rock than he assumed the role of the nine ungrateful lepers who forgot to return and give thanks to their benefactor in the Bible. But Nigeria’s own incarnation of the nine ungrateful lepers does more than just walk away from the scene of his blessing. He soon surrounds himself with the usual suspects, always the worst and perpetually recycled characters in our polity, who hastened to convince him to spit on the same people on whose backs he rode to constitutional validity. Down the road, when the same people rose up in response to another historical imperative of struggle, he had been sufficiently tutored in the art of placing a knife on the rope of the people’s legitimate struggle. Thus, in one fell swoop, Pastor Tunde Bakare, Yinka Odumakin, Femi Kuti, Seun Kuti, Joe Okei-Odumakin, and all the patriots who tirelessly conscientized our people in Lagos and the rest of the country to the task at hand were contemptuously dismissed as mobilizers of a motley crowd of sufferheads bribed with food, bottled water, and comedy. To Pastor Tunde Bakare and Mr. Yinka Odumakin who invited me today – iba! To Mrs. Priscilla Kuye, Chairperson of this gathering – iba! As it goes for Mrs. Tortoise, so does it go for the rest of the community. They are also victims of Ijapa’s selfish wiles. In a society organized for the collective good, nothing tests the solidity of the social welfare system than famine. Therefore, during a great famine that threatened to wipe out all the animals in Ijapa’s village, the villagers discovered a coconut tree that was still yielding bountifully. In order that this life-sustaining bounty might go round, it was decreed that each villager was entitled to one coconut per day. on your back. Having the coconut drop on your back, I suppose, was deterrence against the temptation of greed. As the animals got ready for the trip, Ijapa, the most cosmopolitan among the animals because of his wide travels, told everyone to take a new name, as was the norm in civilized climes. Naturally, Ijapa adopted the name, Mr. Everybody. Off they went to heaven. The hosts were generous. There was plenty to eat and drink. Oh, the hosts also announced that the feast was for everybody! Ijapa was of course quick to remind his fellow guests who everybody was. At the end of the day, he hungry and, therefore, very angry birds, took their feathers from Ijapa, flew back to earth, and abandoned him to his fate in heaven. If you want to know what subsequently happened to Ijapa, get Ambassador Abass Akande Obesere omo Rapala’s album, “Diplomacy”. warnings as those of us who are external to the narrative process. Those of you who have read D.O. Fagunwa, Amos Tutuola, and their London-based literary offspring, Ben Okri, will readily understand what happens to man when he violates the fundamental condition for dealing with the animals’ actions in the tales. That condition, the covenant we must all enter into with the trickster figure, is to avoid plagiarizing his actions. to harm the collective good. It should be clear from the foregoing that Ijapa in these folktales comes from an ethno-national imaginary in which resides a specific welfarist vision of society and her institutions. The commonweal is the base of this vision. All the rules of social organization, all the institutions of society, including monarchy, have meaning insofar as they are able to guarantee the collective good and the commonweal. It is in fact safe to say that the commonweal is sacred. Ijapa’s sin during the party in heaven is worse than selfishness. By claiming to be Mr. Everybody, he was violating one of the most sacred aspects of his culture. The commonweal, the collective, the “us” is so important that even his language does not permit synecdoche in that area. When it comes to the sanctity of the collective, no part can represent or claim to be the whole. Ijapa’s language makes this clear in the proverb: “enikan ki je awa de”. A single person does not announce his presence in the plural by shouting: “here we are”! good. If you are the first to reach the stream, you do not just jump in and begin to cast your keregbe (gourd) or water pot all over the place. 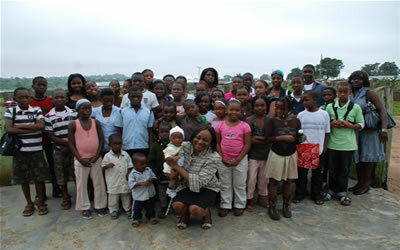 You have spent your entire life being socialized into responsible membership of the community with stories of Ijapa. Your traditional education emphasized the mandate not to be like Ijapa. You know that you do not want to stir the water in the river so vigorously as to make the water turn all brown with disturbed mud and particles from the riverbed, making it impossible for other members of the community to fetch water when they arrive. In other words, you don’t want to “ru omi odo”. Above all, you also don’t want to start suddenly thinking of creative ways to divert the entire river – or 90% of it – for your own private use. That would be breaking the covenant with Ijapa not to plagiarize him. That would be violating all the life lessons you were taught about how to avoidbehaving like Ijapa. Do you want me to go on? The Igbo say that a mature eagle feather will always remain spotless. It was the kind of day in the middle of the rainy season when the sun felt like an orange flame placed close to my skin, yet it was raining, and I remembered when I was a child, when I would run around on days like this and sing songs about the dueling sun and rain, urging the sun to win. The lukewarm raindrops mixed with my sweat and ran down my face as I walked back to my hostel after the rally. I was still holding the placard that read Remember the Massacres, still marveling at my new — at our new — identity. It was late May, Ojukwu had just announced the secession, and we were no longer Nigerians. We were Biafrans. When we gathered at the Freedom Square for the rally, thousands of us students shouted Igbo songs and swayed, river-like; somebody said that in the market outside our campus, the women were dancing, giving away groundnuts and mangoes. Nnamdi and I stood next to each other and our shoulders touched as we waved green dogonyaro branches and cardboard placards. Nnamdi’s placard read Secession Now. Even though he was one of the student leaders, he chose to be with me in the crowd. The other leaders were in front carrying a coffin with NIGERIA written on it in white chalk. When they dug a shallow hole and buried the coffin, a cheer rose and snaked around the crowd, uniting us, elevating us, until it was one cheer, until we all became one. Nnamdi was like that; sometimes I looked at him and saw what he would have been two hundred years before: an Igbo warrior leading his hamlet in battle (but only a fair battle), shouting and charging with his fire-warmed machete, returning with the most heads lolling on sticks. I was in front of my hostel when the rain stopped; the sun had won the fight. Inside the lounge, crowds of girls were singing. Girls I had seen struggle at the water pump and hit each other with plastic buckets, girls who had cut holes in each other’s bras as they hung out to dry, now held hands and sang. 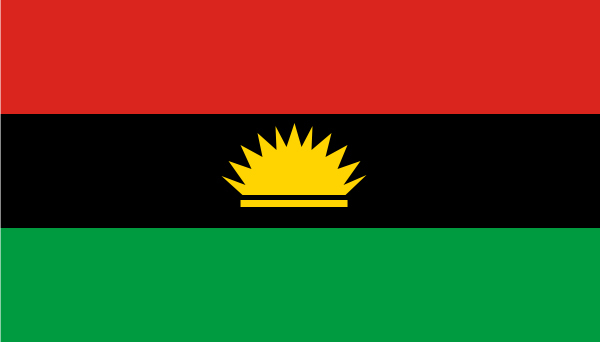 Instead of ‘Nigeria we hail thee,’ they sang, ‘Biafra we hail thee.’ I joined them, singing, clapping, talking. We did not mention the massacres, the way Igbos had been hunted house to house, pulled from where they crouched on trees, by bright-eyed people screaming Jihad, screaming nyamiri, nyamiri. Instead, we talked about Ojukwu, how his speeches brought tears to our eyes and goose bumps to our skin, how easily his charisma would stand out among other leaders — Nkurumah would look like a plastic doll next to him. “Imakwa, Biafra has more doctors and lawyers than all of Black Africa!” somebody said. “Ah, Biafra will save Africa!” another said. We laughed, deliriously proud of people we would never even know, people who a month ago did not have the ‘ours’ label as now. We laughed more in the following weeks — we laughed when our expatriate lecturers went back to Britain and India and America, because even if war came, it would take us only one week to crush Nigeria. We laughed at the Nigerian navy ships blocking our ports, because the blockade could not possibly last. We laughed as we gathered under the gmelina trees to discuss Biafra’s future foreign policy, as we took down the ‘University of Nigeria, Nsukka‘ sign and replaced it with ‘University of Biafra, Nsukka.’ Nnamdi hammered in the first nail. He was first, too, to join the Biafran Army, before the rest of his friends followed. I went with him to the Army enlistment office, which still smelled of fresh paint, to collect his uniform. He looked so broad-shouldered in it, so capable, and later, I did not let him take it all off, I held on to the grainy khaki shirt as he moved inside me. My life — our lives — had taken on a sheen. A sheen like patent leather. We all felt as though it was liquid steel, instead of blood, that flowed through our veins, as though we could stand barefoot over red-hot embers. The Igbo say — who knows how water entered the stalk of a pumpkin? I heard the guns from my hostel room. They sounded close, as though thunder was being funneled up from the lounge. Somebody was shouting outside with a loudspeaker. Evacuate now! Evacuate now! There was the sound of feet, frenzied feet, in the hallway. I threw things in a suitcase, nearly forgot my underwear in the drawer. As I left the hostel, I saw a girl’s stylish sandal left lying on the stairs. The air in Enugu smelled of rain and fresh grass and hope and new anthills. I watched as market traders and grandmothers and little boys hugged Nnamdi, caressed his Army uniform. Justifiable heroism, Obi called it. Obi was thirteen, my bespectacled brother who read a book a day and went to the Advanced School For Gifted Children and was researching the African origin of Greek civilization. He didn’t just touch Nnamdi’s uniform, he wanted to try it on, wanted to know exactly what the guns sounded like. Mama invited Nnamdi over and made him a mango pie. “Your uniform is so debonair, darling,” she said, and hung around him as though he was her son, as though she had not muttered that I was too young, that his family was not quite suitable, when we got engaged a year ago. Papa suggested Nnamdi and I get married right away, so that Nnamdi could wear his uniform at the wedding and our first son could be named Biafrus. Papa was joking, of course, but perhaps because something had weighed on my chest since Nnamdi entered the army, I imagined having a child now. A child with skin the color of a polished mahogany desk, like Nnamdi’s. When I told Nnamdi about this, about the distant longing somewhere inside me, he pricked his thumb, pricked mine, although he was not usually superstitious, and we smeared our blood together. Then we laughed because we were not even sure what the hell that meant exactly. • The Wole Soyinka Prize for Literature in Africa was established in 2005 by The Lumina Foundation, as a Biennial Award to the best literary work produced by an African. • It assesses works by African authors selected within the two years preceding the award year. • It is intended to serve as an African equivalent of the Nobel Prize, particularly in recognizing and encouraging professional and personal excellence. • At the moment, the Prize money of WS Prize is $20,000USD We are looking to increasing it in the near future. The shortlist will be announced in August this year. Congratulations to all the nominees.